Located in the centre of Keighley, the Market has long been a colourful and lively shopping destination. With quality food retailers to the latest in fashion, jewellery, materials, homeware and lots more . It’s easily accessible by public transport or via car. Located in the Kirkgate Centre, this market has everything from latest fashions, to footwear and designer jeans to duvets, all at exceptional prices. Shopped out? Then why not complete your trip with lunch or tea at one of the many cafes. This venue, located off Westgate in the City’s Northern Quarter is a shopping discovery. This market offers quality fish, meat and fresh fruit and vegetables from all over the world. St. James’s Wholesale Market is located on a six-acre site off the A650 Wakefield Road, Bradford. It is easily accessible from the city centre and only minutes away from the motorway links to the M62, M1, etc. The open market operates on a Monday selling a great selection of second-hand items and bric-a-brac. On a Friday and Saturday, a wide selection of goods and fresh food products are available on over 40 stalls. 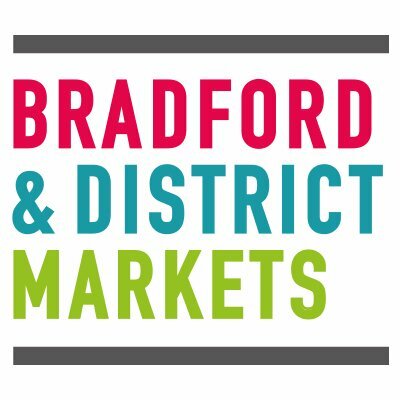 Bingley Open Market now trades on the newly refurbished Town Square offering a range of locally produced goods including Fresh Bread, Fish, Meat and Game, Fresh Fruit & Vegetables, Flowers & Plants, Shoes and more. At our local produce Markets shoppers can buy fresh locally produced food from fantastic regional suppliers, as well as take the time to meet the producers and growers of the food and taste free samples!